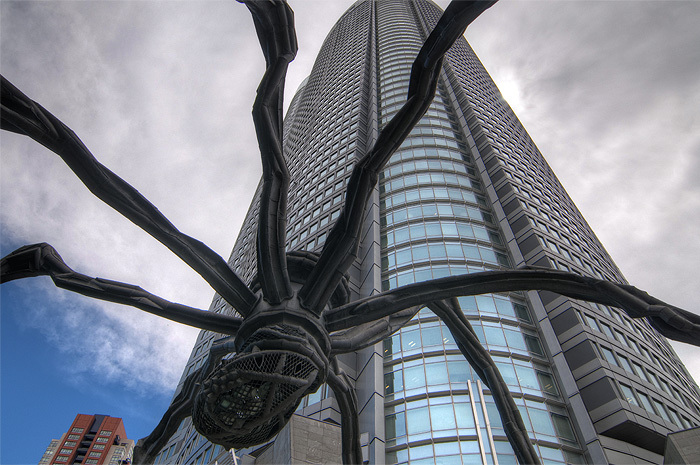 The giant spider has been part of Roppongi Hills since the the beginning. Created by the recently deceased artist Louise Bourgeois, 'Maman' as the spider is called, has reached iconic status in Tokyo, but did you know that there are 11 other Mamans around the world? You'll find her in such notable places such as Paris, Boston, Seoul, Washington and St. Petersberg, and surprisingly, in front of the National Gallery of Canada in Ottawa. It's nice to know that my often overlooked hometown is part of something international, even if it is pretty darn weird.